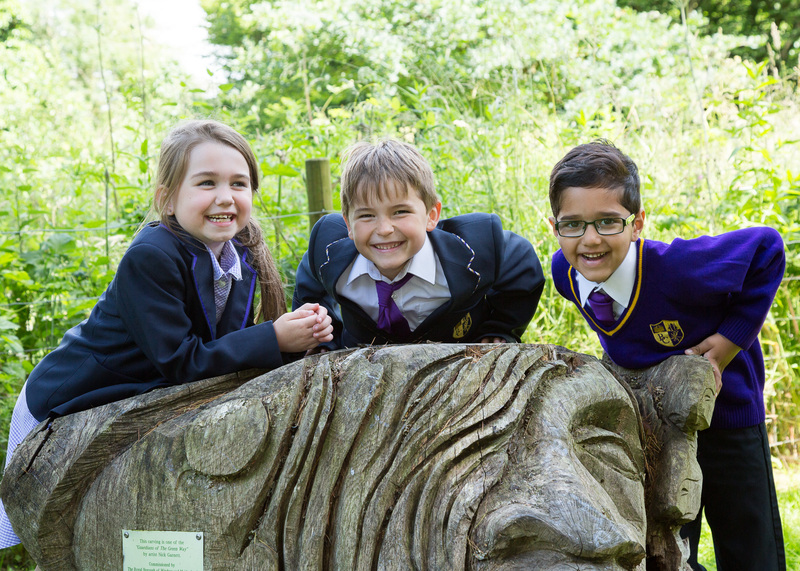 Watling Park School has been on an exciting journey over its first two years since opening. 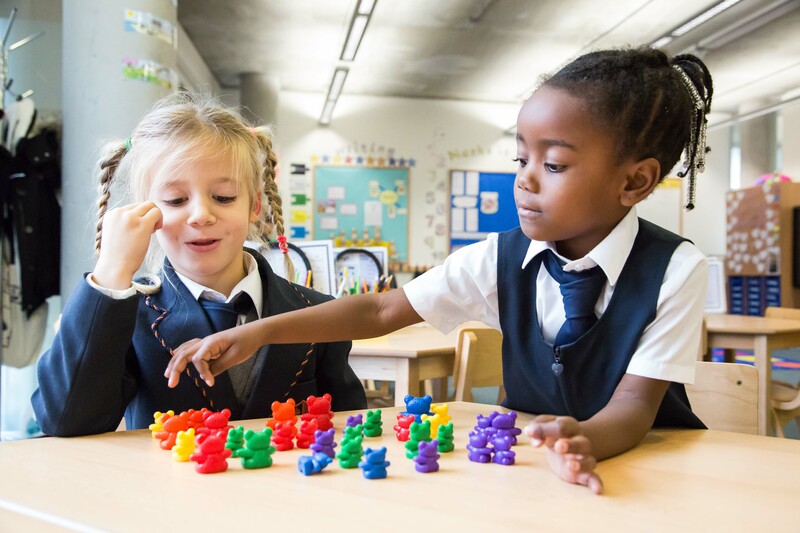 The school, which is full in terms of pupil numbers, has finished the year with pupils in both Reception and Year 1 achieving well deserved end of year outcomes, especially in terms of progress. Of the Reception aged pupils, 71% achieved a Good Level of Development in 2017, which is above the national average in 2016 of 66%. The progress of pupils has been hugely encouraging, as when benchmarked at the beginning of the year, just 36% were projected to achieve a Good Level of Development. 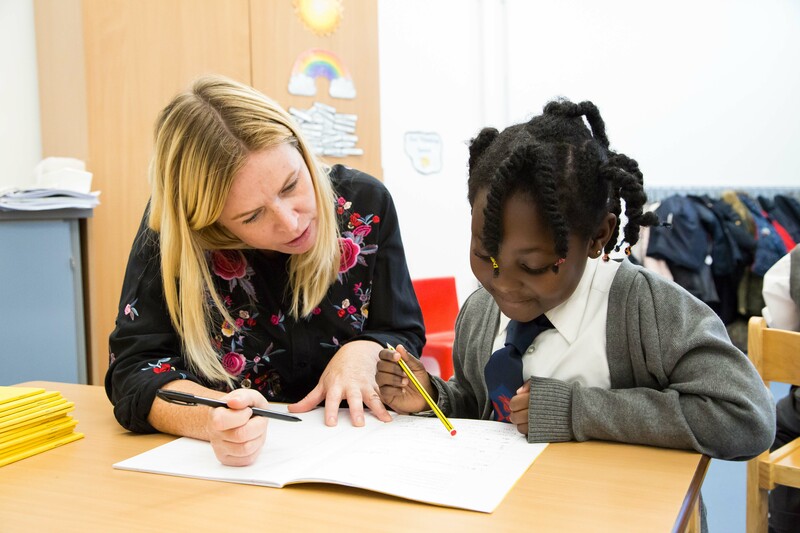 In Year 1, pupils continue to make strong progress in core subjects, with 74% at age related expectations for Reading and Maths, with 68% at age related expectation for Writing. The government also conducts a phonics screening check at the end of Year 1, with 78% passing the check. This is very encouraging as 66% of pupils have English as an Additional Language (EAL). This achievement of pupils is hugely encouraging and is a result of a wider curriculum opportunity they have received throughout the year, along with a rich extended school provision at the school. The school has been very proactive in taking a different approach to staff recruitment for September, as staff turnover has been high. Parents have been informed that Moira Anderson is sadly departing the school in August, as her personal circumstances have changed. The passion Moira has shown for the school has been incredible and as the founding Headteacher, she has been the driving force in creating the exciting position the school will be in this September. We cannot thank Moira enough for the dedication and drive she has shown in establishing Watling Park School – we know this is shared by our pupils and parents. In coping with this change, the Trust has appointed the new Deputy Headteacher, Sonia Mallick, as the Acting Headteacher. Sonia will lead the team on an acting basis and is well qualified for the role. Sonia has over 15 years of senior leadership experience, starting as an NQT and working her way up to be an Assistant Headteacher at Coldfall Primary School in Haringey, where the school was judged as Outstanding in 2007, when Sonia was an integral part of the school. Sonia remained at this school until 2012, providing 20 years of dedicated service in what continues to be an Outstanding school in Haringey. Sonia moved to a challenging new Free School in April 2012, which opened in September 2012 and with little support, the school went into an OfSTED category after just four terms of being open. Since then, Sonia has worked at Crowland Primary School for a term, which OfSTED inspected in July 2014 and rated as Outstanding. Sonia then worked at Benthal Primary School in Hackney as an Interim Deputy Headteacher for two years. The school required ‘intensive support’ and Sonia supported a range of school improvement activities, including developing middle leaders and teaching and learning across the school. Increasing the percentage of children passing phonics by 15% to 84% in 2015 through overseeing the implementation of an effective synthetic phonics programme. Increasing the combined percentage in Y6 for RWM to 82% (from 65%) and taking the school out of the bottom five schools in the borough. For the past year, Sonia has been at Avonmore Primary School, where she was the Interim Deputy Headteacher and supported an increase in teaching standards so there was no inadequate teaching in the school and was part of the team that secured a Good OfSTED rating in October 2016. We are delighted Sonia will be joining the team and we will be supporting her in the change to being the Acting Headteacher at Watling Park School. Bellevue Place Education Trust is keen for the new staffing team to settle into the new building and new environment in September 2017, along with the newest 60 reception aged pupils joining the school. In light of this change, the Trust has decided to focus on recruiting the right Headteacher for the school for September 2018. The best Headteachers look to move over the end of an academic year and experience has shown that recruiting in the Spring Term for September secures the best people. With this being such an important role at the school, appointing in the Spring Term for the substantive Headteacher to start in September 2018, will provide the greatest opportunity for us to recruit the very best person to lead Watling Park School. The new building is on track for the pupils to start school on Monday 11 September 2017. The new building has been on track all the way through construction, with the contractors, Galliford Try, working closely with the school and Trust towards the handover date at the end of August. As we enter the final stages of the building’s construction, staff and pupils are very excited about the brand new facilities they will have the delight in utilising from September, with much of the landscaping and external work also completed. The current temporary classrooms are due to be removed in early August, with this areas becoming a multi-use games area which will be accessible to the local community and with it owns changing facilities. With all these developments, Watling Park School is in an excellent position from September to have all the key elements in place in order to deliver our vision of a high-quality education for every child.